This course has been approved for 24 hours of certification/re-certification training credit by each of the following boards: the IAI Latent Print Certification Board and the IAI Crime Scene Certification Board as well as 8 hours of training credit by the IAI Forensic Photography Certification Board. ​The course will also introduce students to photographic and lighting techniques that are useful in the documentation of latent print evidence. Photography is essential in cases where prints cannot be otherwise collected, where processing techniques do not render permanent results, and in cases where processed evidence is not readily visible or discernible to the naked eye. 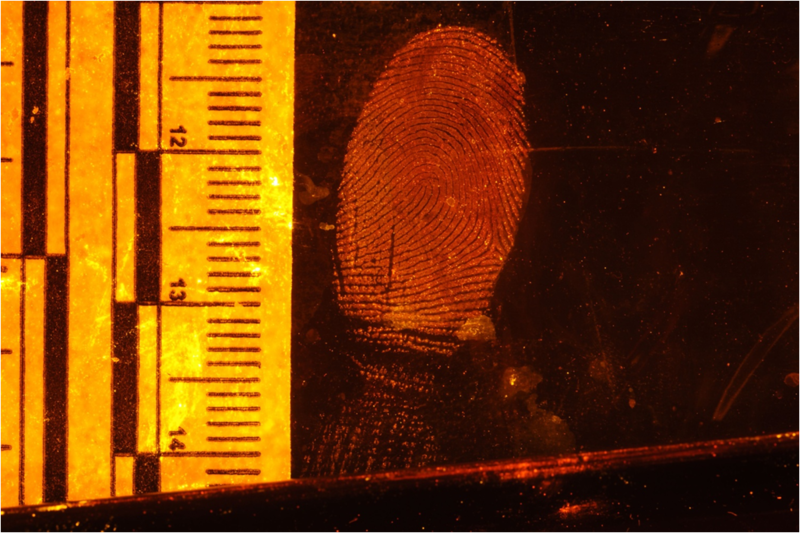 Since this course presents techniques that include fluorescent fingerprint powders and dye stains, an overview of forensic light sources will be presented, and students will have access to forensic light sources in order to visualize and photograph the evidence they process in class. Booking Info: Please use the booking link below to reserve your room(s). The above rate does not include breakfast; however, breakfast coupons are available at check-in for an additional $10 per room/per night. Each breakfast coupon is good for one entrée and one beverage for up to two people. Please note - these rates are only available for a limited time – book before JANUARY 14TH, 2019 to take advantage of the discount! After that cut-off date, all reservations will be at regular rates. Block dates are 02/03 to 02/07; anything outside of these dates will need to be booked directly with Haley Whelchel at the hotel, space permitting. For any questions or problems, please contact the Sales & Marketing Coordinator– Haley @ 303.248.2147 or haleywhelchel@abihotel.com.